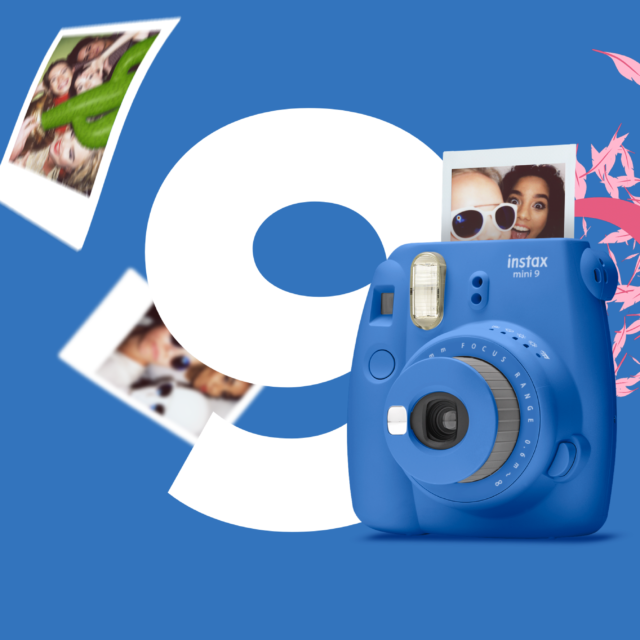 The mini 9 is the successor of instax’ greatest hit, the mini 8. 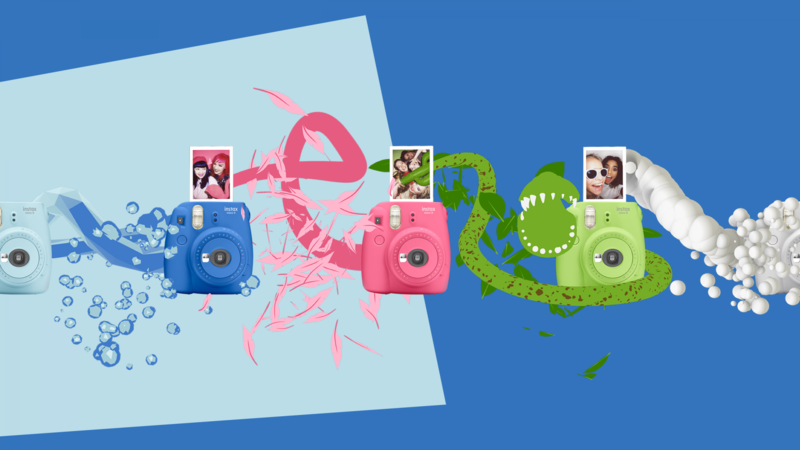 Along with the introduction of the new camera instax also introduced a new selection of colours. A good thing! 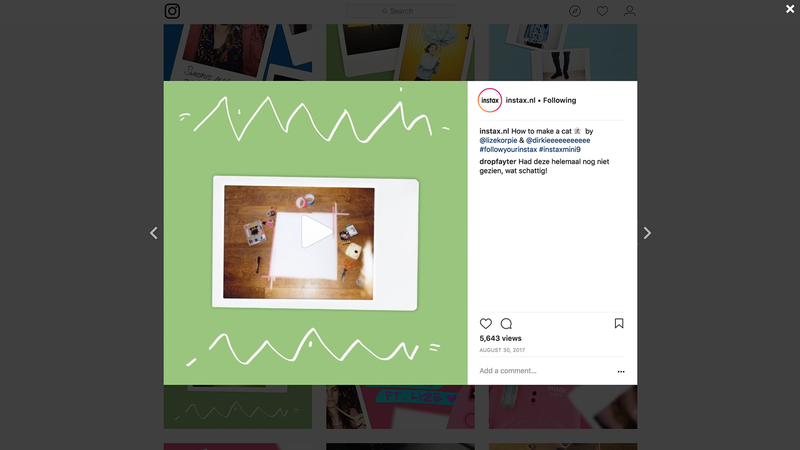 We learned from interviews with girls that they see ‘their’ instax as something to show off with… even better when it also perfectly matches your outfit. 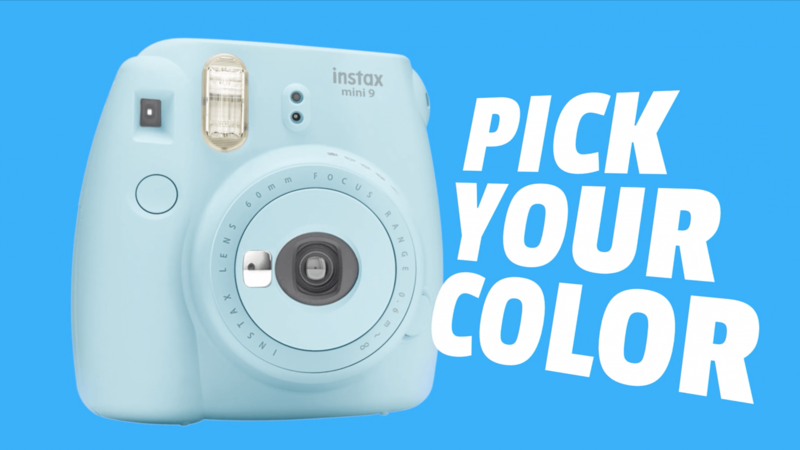 Pick your colour and Follow your instax! Result The campaign ‘Pick your colour’ is all about fun. It ran in the period prior to the holidays - thé season packed with instax moments next to the summer. That worked magic! 2017 has been a record year for instax, with over 160.000 camera’s sold, and over 1.2 million film packs. Colour, colour and then some more colour. 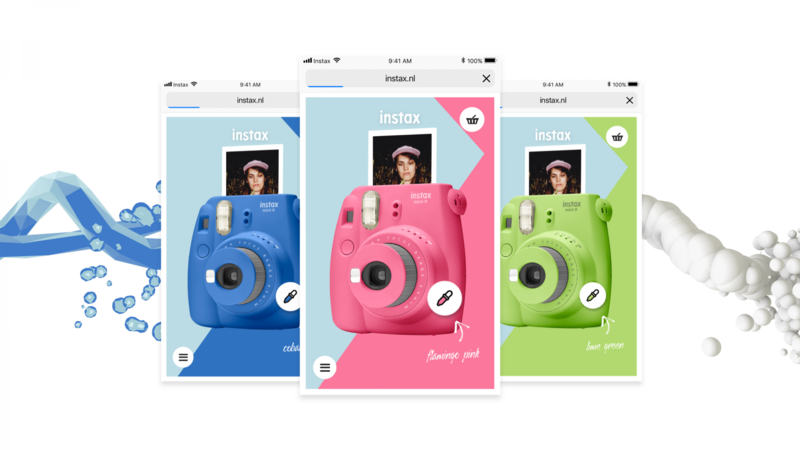 We took the fun of the new instax mini 9 colours and smeared them all over the ads, in which the product experience played a central part. The campaign consisted of a mix of awareness videos as well as retargeting ads aimed at conversion; all with same focus on fun experiences. In 2017 we started creating buzz around the mini 9 with Holland’s most famous cat: Dirkie (@dirkieeeeeeeeeee) and his girl human Lize Korpershoek. 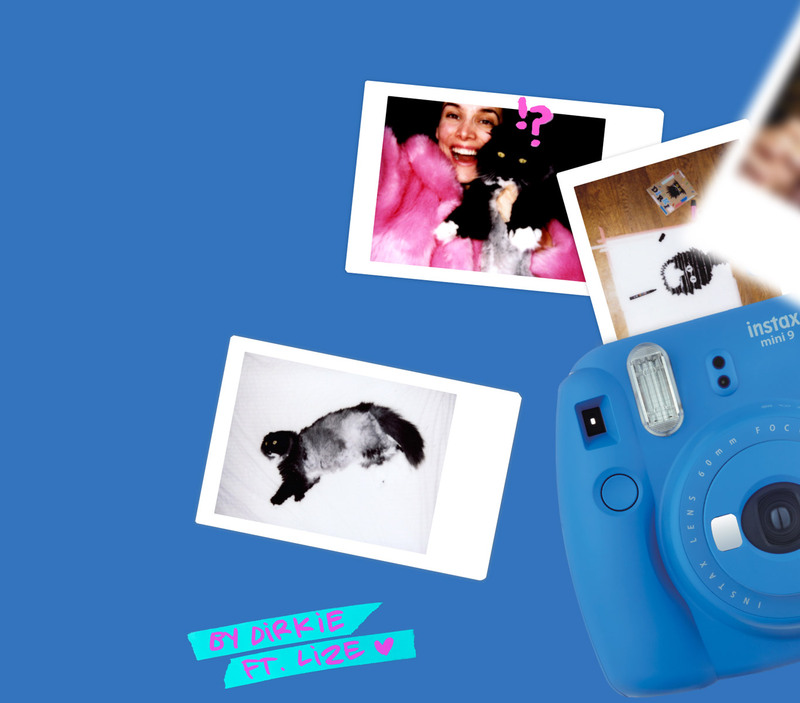 @lizekorpie is one of the youtube and instagram heroes of the instax audience; her cat has at least as many admirers. 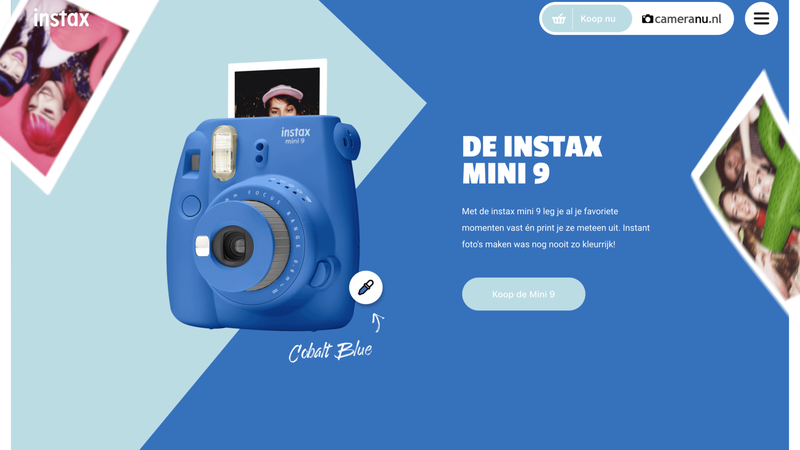 The campaign concept is translated into the online product experience at instax.nl. As 84% of our traffic comes from mobile, so the website is a mobile first concept. But of course it rocks on desktop just as much. ‘The best thing about me, is that’s I’m a limited edition!’ This one mini 9 deserves some special attention. 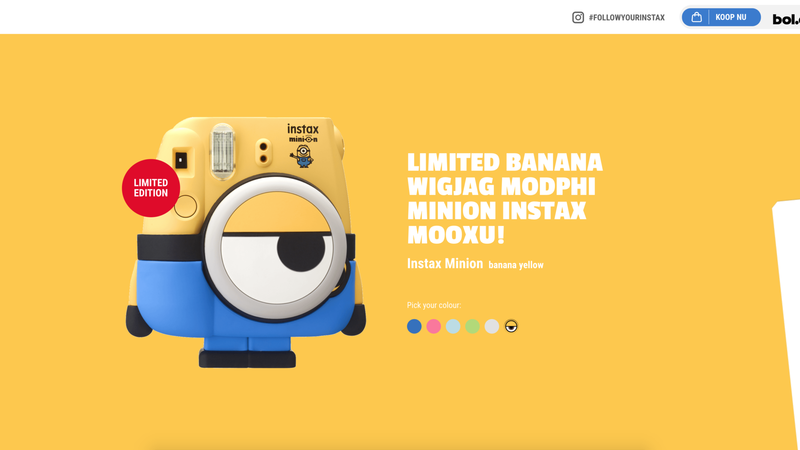 This Minions edition got its own mini campaign and temporary landing page. It’s all about experience! We continuously engage with the audience through instagram. Sometimes we give the conversation a sweet little push with a give away. Always with great care and instant impact. Please contact Marlies de Gooijer.